I wanted a respite from the dark-themed books I had been reading for the R.I.P. IV Challenge. Something opposite these, I thought. My eye settled on this religious fiction by Rebecca Kohn which had been forever in my TBR pile. This is a story of how a young Jewish orphan, Esther, became Queen to one of the most powerful rulers of the ancient world, King Xerxes. But her story is unique because she goes down in Biblical history as one of those really rare heroines in the Old Testament who succeeded in saving her people from annihilation. Esther comes to live in the harem, doing the best she can to get along with everyone. She learns that in such an autocratic and hierarchical-sensitive environment, the virtues of obedience, submissiveness, generosity, respect of and deference to authority make life tolerable and endows her with the ability to influence others. Upon her first presentation to the King, Esther captivates him and in one night, makes a meteoric rise to Queen. But her new life is threatened when Xerxes’ issues an edict calling all Jews to be annihilated, as per Haman’s, his corrupt chief advisor’s, whim. Haman is incensed that the Jew, Mordechai, the treasury official and in secret, Esther’s cousin, refuses obeisance to him, and so extends his wrath to all Jews. Queen Esther is faced with a dangerous dilemma : save her people by exposing her true lineage and forcing an uninvited audience with the King (an unsummoned presence before the King can earn one the death penalty) to plead for her people’s lives or keep mum about her Jewish parentage to save her own life and her position as Queen. And so goes one of the most romantic stories in the Old Testament. The tale of Esther is a very powerful and moving story of courage and selflessness. It is a tale of a woman’s style of patriotism that necessitated giving up her life for one’s country/people. It also has very significant religious points that reinforces the belief in (1) God’s existence; (2) His constant vigil over His Chosen People and (3) His divine will and purpose for each person’s existence. Her character, Esther, is a refreshingly different take on the ideal of a strong woman. Here, we see a girl who was strong without having the usual feminist aggressive, adventurous, stubborn, iron-willed character that a lot of writers favor to make their heroine so interesting. Instead, Esther’s subservience and obedience coupled with her grace and feminine charms realistically favors her successful adaptation to a masculinely dominated world where women’s subjugation are part of its culture. She succeeds without having to be obvertly defiant or wilful; she simply does what she morally thinks is right in her own firm, quiet, patient way. However, as a whole, the novel just didn’t quite make it to my standards for an outstanding rating. Somehow, it just fell a little flat for reasons I cannot really define. Perhaps, it was the ending which I felt wasn’t quite satisfactorily resolved and rather anticlimactic at that. As a debut novel though, “The Gilded Chamber” is a good first effort. I’ve taken to her writing style so that I’m not put off from reading other novels Kohn may have churned out by now. Moreover, for those looking for a fast read, this novel is it. Aside from being a light read, it’s got much more intellectual “meat” than say, a vampire or chick-lit novel; so a good choice for that next beach read. My knowledge of this book came from reading a blogger’s take on the movie, “300“. I do not recall the site anymore but I do recall the blogger’s disappointment in the movie’s distance from historical facts. (As per another blog, “300” was supposed to be based on some comic book and was meant to be more of a visual treat rather than a factual account on the Battle of Thermopylae.) This book is one he expressly recommended as one of the best fiction novels on that famous battle as the events and descriptions thereof are well-researched and hold true to history. After the Persian’s victory at the pass of Thermopylae, a Greek soldier is discovered as the sole survivor of that horrendous battle. At King Xerxes’ command, the man, Xeones, is spared and nursed as much as could be done for a man with grievous wounds. It is Xerxes’ desire to know his enemies whose paltry numbers have decimated a staggering multitude in his army. As much as his desire is so, it is also the Greek’s urgent need to tell the story to immortalize the men who valorously held the pass against insurmountable odds. He begins his discourse with his life’s story, from a homeless boy of a conquered city to a helot in service to a Spartan master. Of Sparta he describes its military way of life, where self-discipline and subordination of the needs of one for the many are paramount virtues. Boys, as young as 12, are subjected to military training, a way of life that would make them into formidable warriors and therefore, real men, ready to defend their state for honor. Battle training does not merely mean molding superb physiques and extraordinary fighting prowess. There also exists the Spartan psychology of war in which battle philosophies are inculcated to create a strong foundation of selflessness and a state of mind that renounces fear in the face of death. This has made Sparta’s military might superior to all as their battle readiness is a product of complete physical, mental, and emotional endurance. Even Spartan women are physically fit and stoically ready to give up husbands and sons to defend Sparta. Under the huge threat of the Persian invasion, Sparta rallies other Greek states to counter this dangerous intention. The Spartan king, Leonidas, selects 300 soldiers to march to Thermopylae to defend this narrow pass into Greece. These 300, along with their Greek allies totals a handful 7,000 against 2,000,000 Persian enemies. Xeones’ narrative breathes life into the personalities behind this historically famous “last stand” and earns for the Hellenes, in particular Sparta, the respect of the enemy who are awed by Greek determination to defend their country to the last man. Few books on war may ever enthrall one as much as “Gates of Fire“, Steven Pressfield’s brilliantly executed story on the Battle of Thermopylae. The story is done with great mastery for depicting human nature, Spartan culture and psychology, and ancient Greek warfare and battle tactics. Although war and the violence of hand-to-hand combat may be alien to most of us, Pressfield makes the sights, smells, sounds, and emotional experiences of the fight so palpable, it intrudes the comfort of one’s reading chair. One can feel the grit, the determination, the almost inhuman physical and mental endurance, and the nobility of it all. The characterization is very good. His ancient warriors do put a new dimension on the concept of “real men”. Aside from pure brawn and unimaginable stamina, they are able to transcend basic human nature in the face of insuperable odds. One may be drawn to how humanly vulnerable the characters are to many weaknessees, like fear, the desire for self preservation, etc. and be filled with admiration for their ability to rise above themselves for the good of the many. Pressfield’s writing has a poetic quality, rich in metaphors and analogy, which greatly enhances the descriptive style of his work. The excerpts above may appear verbose or too lofty for some when taken as is, but as part of the book it doesn’t seem so. Steven Pressfield manages to balance his writing to create a wonderful reading experience of a novel — a remarkably inspirational gem I think few of its genre can equal. Definitely, a must read! I must say this is one of the best “battle books” I’ve ever come across. It’s a testosterone-laden narrative full of blood, guts, muscle, and masculine stoicism; yet it is poignant too for the tremendous sacrifice, honor, and virtues all upheld in this story as well. For budding ancient war enthusiasts, you will be thrilled by the accurate depiction of battle techniques, strategies, rigorous training methods and the unwavering mindset one must have to become truly Spartan. Somehow it is hard to believe that men with such physical and mental endurance such as these Spartan warriors ever existed. But the mind-boggling part is that they did! The human mind and body is actually capable of so much more than what we believe so. It has been floating around that this movie will be adapted to cinema. However, this project is still in development with no particular date in sight. Don’t be lazy though and wait for the movie. Pick up this book; it’ll be well worth your time. Steven Pressfield is now on my personal list of fave authors for “Gates Of Fire“, a very beautifully written graphical novel which showcases the author’s superior writing talent. This is one of those books you can read again and again through the years. Definitely a keeper and a treasure on my shelf. My Mark : Excellent; Superb! I gleefully pounced on this book at Magrudy’s in Dubai. Ever since I’ve read Attila : The Gathering of the Storm (my review here ), the second book in William Napier’s epic trilogy, I knew I had to have the concluding book. What a stunning spectacular conclusion this is! 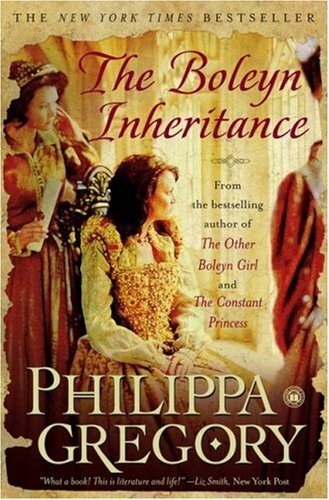 This epic story takes place around the middle of the 5th century. The entire Roman Empire, both East and West, has never before faced such a threat to its existence of this magnitude in many centuries. Attila and his vast eastern army of united Hunnic tribes starts attacking the Eastern frontier of Constantinople with the goal of annihilating Rome. 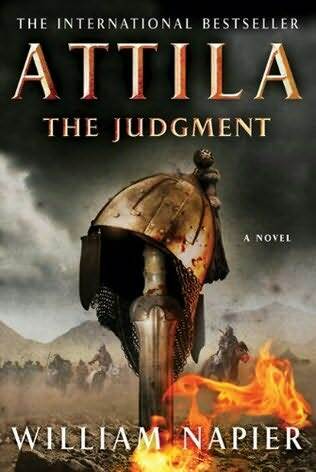 General Aetius, Attila’s boyhood friend and one of Rome’s last true generals, desperately tries to defend his beloved empire. Amidst inane politicking, two weak emperors, a corrupt debauched nobility, and apathetic allies, Aetius attempts his best to muster Rome’s defenses, the military might of which is but a shadow of its former glorious self during the days of the Republic. With a small but still highly disciplined and skillful army, he leads the Roman war for survival against the Huns which culminates in the Catalaunian Fields (somewhere near what is known today as Chalons in Champagne, France). Those who were disappointed by the generally philosophic nature of Book 2 (The Gathering of the Storm) will love Book 3 (The Judgement) which more than makes up for the disappointment with enough spilled guts and hard-core action. Indeed, where the second book waxes philosophic, the third wallows in violence, blood, and gore as Napier (Hart) vividly depicts battle after glorious battle. Readers will be mesmerized by the wealth of descriptive details of brilliant strategies, magnificent heroics, and intense horrific carnage. I thoroughly enjoyed reading this page turner well into the night. This is just one book you can’t put down. I wish I read the entire trilogy, though. To fully appreciate it, you must. Hats off to Christopher Hart (a.k.a. William Napier). He has clearly done top-notch work!